Owning your unique style is all about mixing up trends to suit your personality and body type. So in this look I’ve mixed up a number of the latest fashion trends : Colour Blocking + Peplum + Prints + Neon + Fold Over Clutches + Holographic trends all integrated into one look for my night out with friends for dinner at my favourite Mediterranean restaurant. ~ Multi coloured graphic print top from Zara. 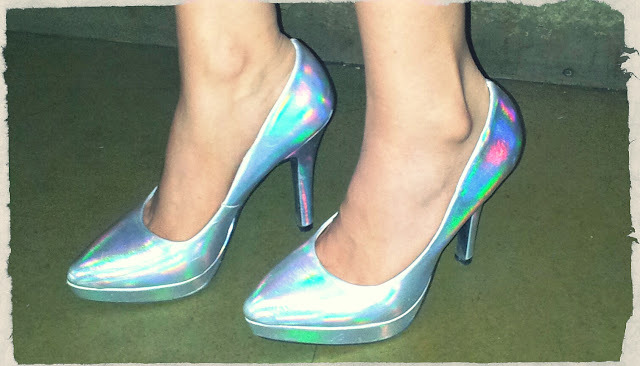 Close Up of my favourite pair of Holographic Shoes. A really hot trend this season and goes with almost any outfit. I wear them with my jeans as well as skirts and dresses for a night out. 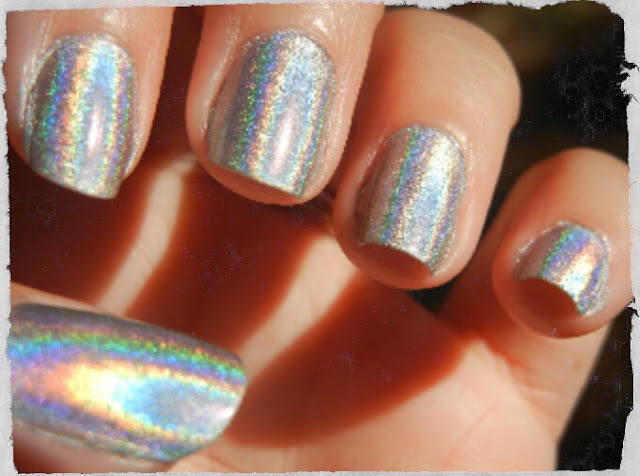 Holographic Nail Paint to match the shoes; looks uber cool. 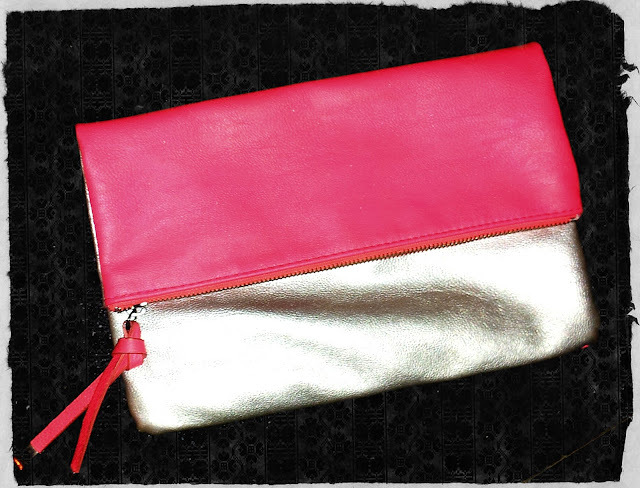 These clutches really provide amazing storage and come in dual colours. Totally love them. I love mixing it up every now & then. Don’t ever keep it boring or predictable ! Loved how you added holographic trend to your outfit!